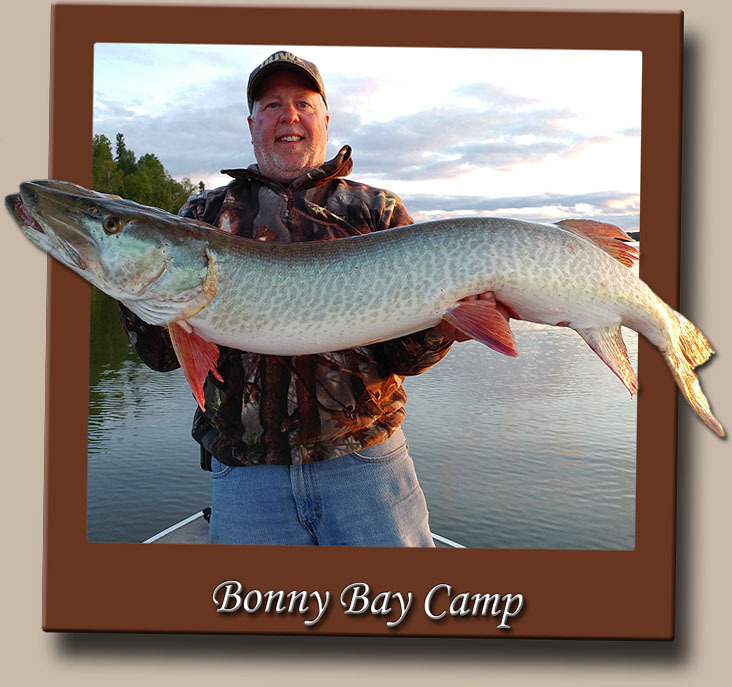 Wabigoon Lake is the best-kept Muskie hotspot in Ontario. With a high population of feeder fish such as Walleye, Bass and Perch, the Muskie have an endless banquette of food, which allows them to grow fast and grow big. We also have many streams and sandy areas, which are perfect spawning grounds, thus the reproduction rate is excellent. Big water usually means big fish. Wabigoon Lake has over 50,000 acres of water, which is spotted with hundreds of Islands, rocky points, shoals and feeder streams. 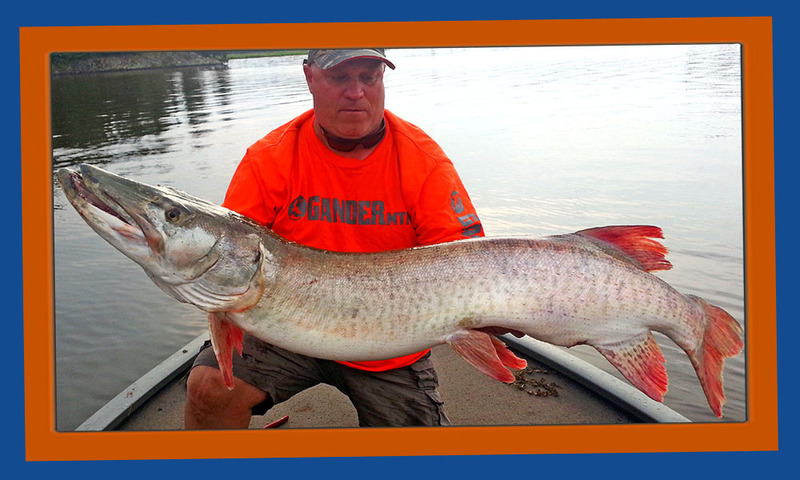 All Muskie hunters know that Muskie are an elusive fish and hours of trolling and casting is needed to land one. This is especially true on a big lake like Wabigoon. If you are new to the lake, we will send you right to the hotspots. The best place to catch a Muskie is in-or-on the edge of large water-cabbage patches that grow off the rocky points leading into deep bays. We have many such places on the lake. 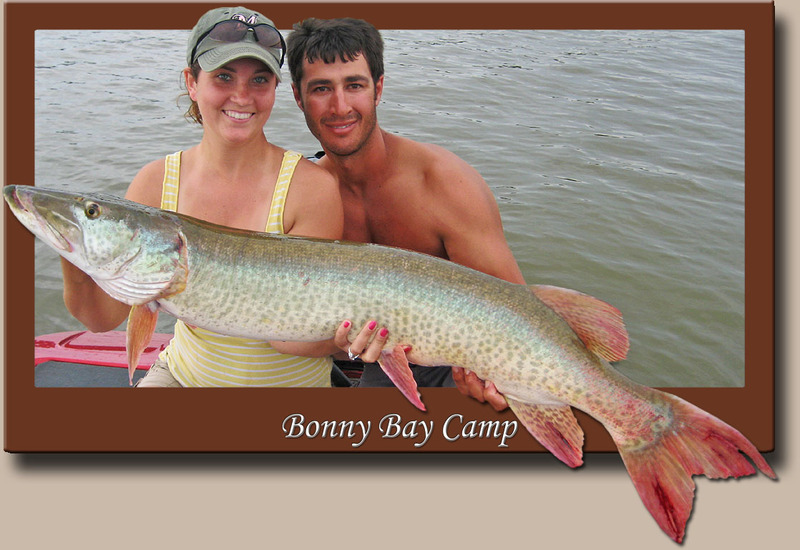 Our guests catch trophy Muskie every week. The biggest factor is the amount of time and effort put into catching these monsters. 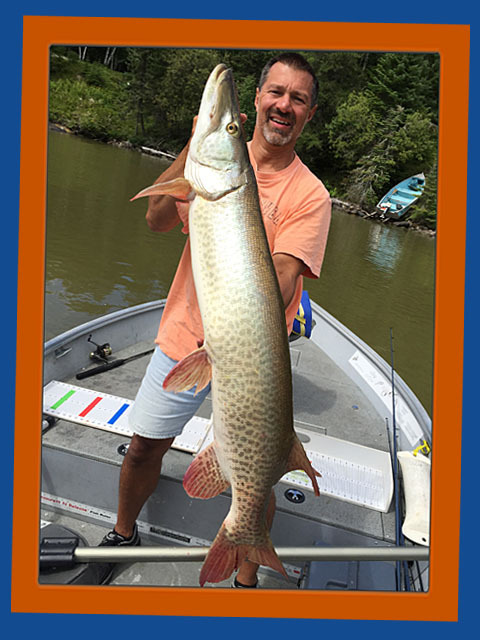 Most Muskie hunters fish for Muskie during prime time and then spend other parts of the day catching Northern Pike, Walleye and Smallmouth Bass. Muskie in our lake average between 36 and 40-inches. Every year we have many guests catch them up to 50 inches. Our guests do catch them over 50 inches. Fish over 50 inches are not as frequent. 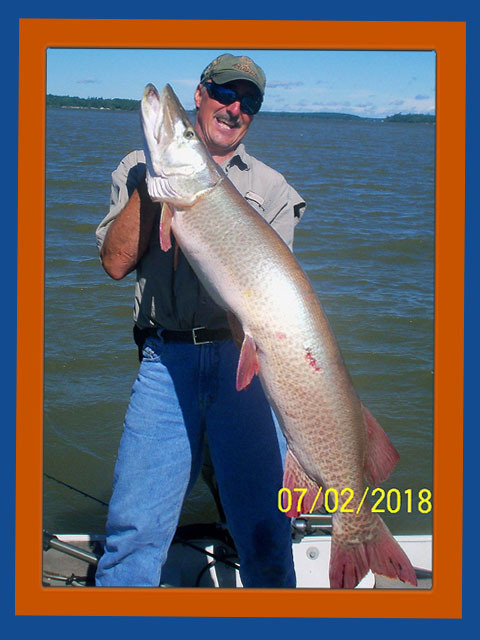 In the last couple of years, guests have caught and released 52, 53 and 54 inch Muskie. Wabigoon Lake is one of 7 lakes in Ontario where government biologists say the next World Record Muskie could come from.